The nail art kit, which is £12.90, consists of four nail art tools; a dotter, a fan brush, a detail brush and a clean up brush. 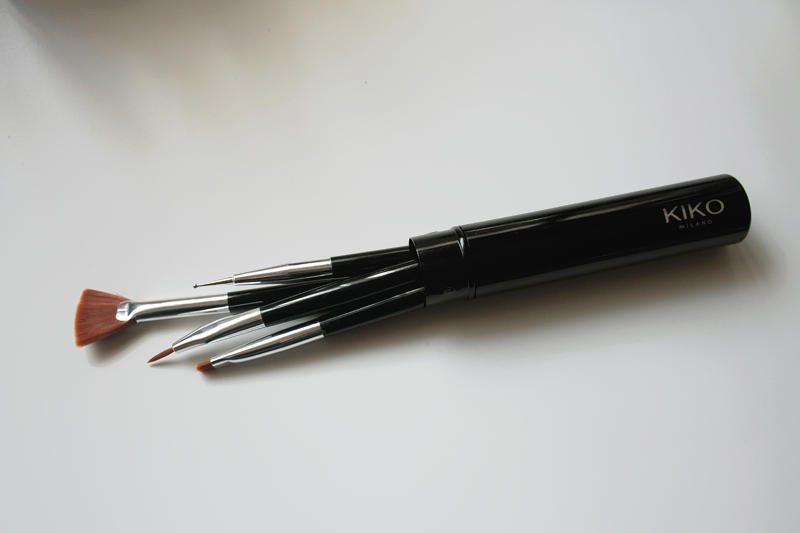 They all come in a metal tube case which would be great for travelling and keeping all of your brushes together. 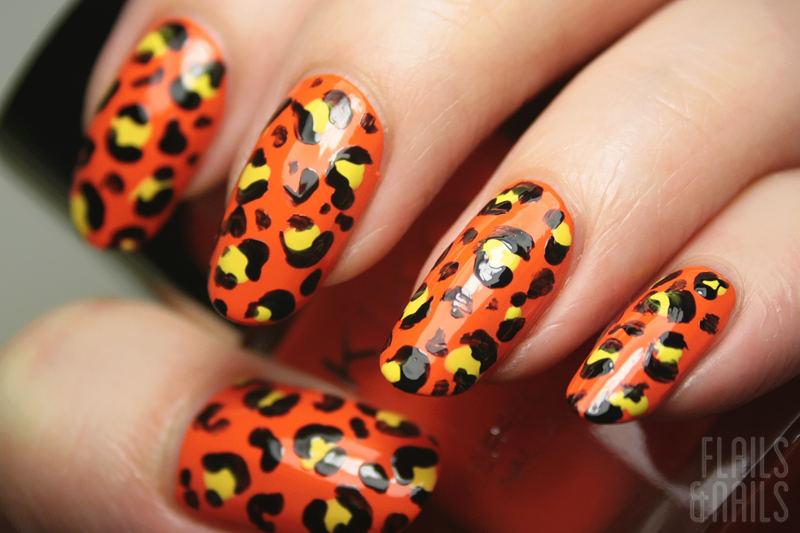 While the nail art kit is a bit more expensive than some out there, I think you can feel why they are more expensive. 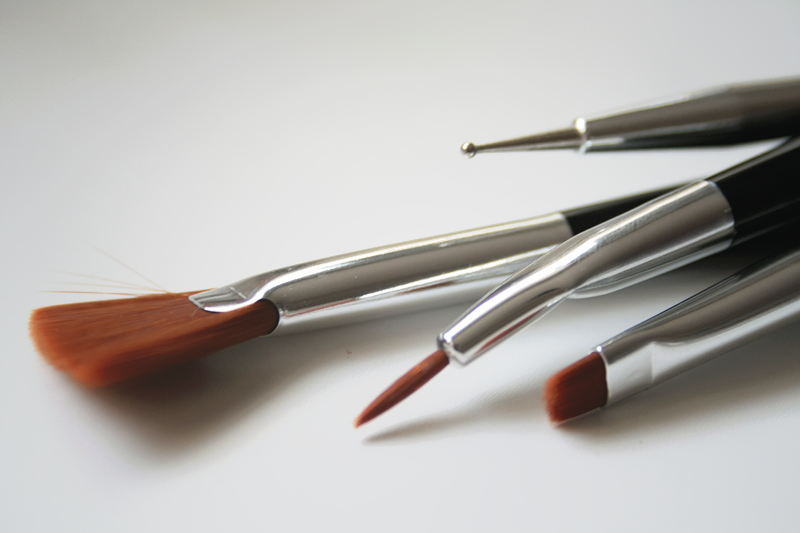 For starters, the brushes have more weight to them than any other nail art brushes I own. This means they feel much more stable in the hand and could lead to less mistakes due to their comfortable weight in the hand. Secondly, they come in a metal tube. Not a plastic or paper tube but a metal tube. While this may seem like an unnecessary feature of the overall kit, the merit for having a durable and portable means of storing your brushes is invaluable to someone with so many nail art brushes like myself. Some of my own collection are too long to fit in the tube but I have contemplated cutting them down to fit so that they no longer suffer in the pencil case I keep them in now! Onto the practical test. 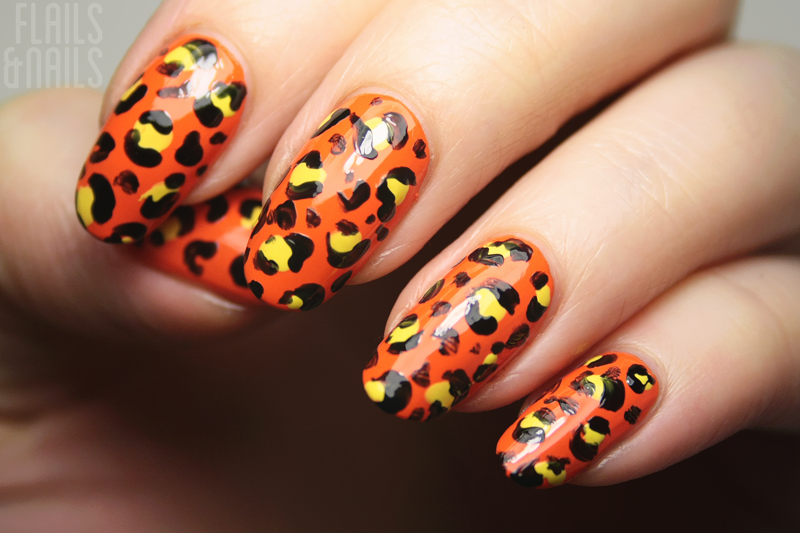 I used the detail brush and the dotting tool for this particular look, which is a leopard print with a Halloween edge. I liked the dotter tool. I used it to create irregular blobs in yellow and I had good control over the shapes created. I used the detail brush to do the leopard print outline. I was a little less impressed with the detail brush. For me, it's too thick to do any sort of intricate detailing and while with a bold print like leopard you might not notice, if you wanted to create more subtle detail then this might not be the one for you. How I've achieved finer detailed brushes is to just cut down those often too big detail brushes included in nail kits like this but with a price point like £12.90, you might not feel like you should have to but for the heavier weight of the brush and what appears to be good quality bristles, it might be worth it but its very much up to you. I haven't tested out the fan brush or the square/clean up brush yet as these are often my least used nail art brushes but look out for a future review of those in the next few weeks. 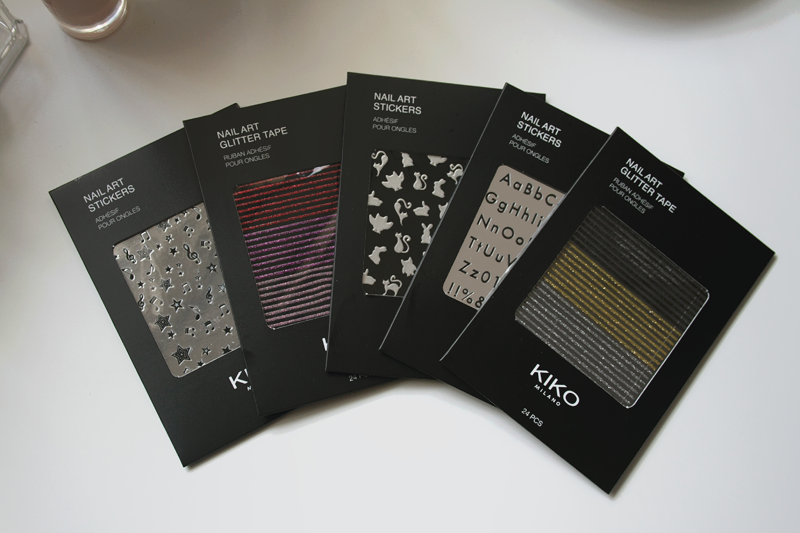 Kiko's nail art stickers are £2.90 and you have a good few different designs and effects you can choose from. As you can see, I've got music symbols and stars, colour glitter tape, cats, owls and rabbits, letters and gold, silver and black glitter tape. 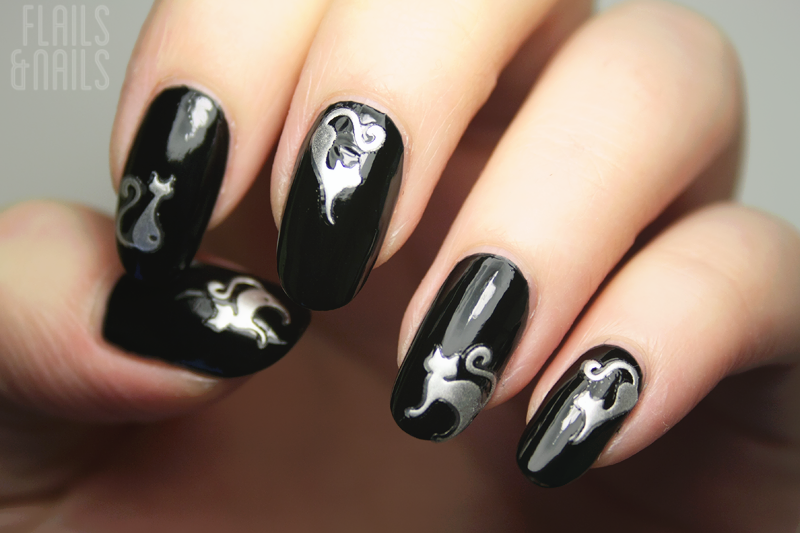 I automatically thought that the cats would be perfect for a simple but effective Halloween nail look. Overall, Kiko's venture into nail art accessories is a good effort. The stickers and their variety of designs will appeal to the nail art enthusiast who might not be confident in their freehand skill or just want something cool but fast to apply. I'll express my interest in the nail art and their more definite weight when compared to regular nail art brushes but the detailing brush could do with some customization. You can find the products here and here on the Kiko website, as well as in Kiko stores.